There has been a palpable air of apprehension in the corridors of the Presentation Secondary School in Waterford these past two weeks. This tension, coupled with scenes of Leaving Cert and Junior Cert students huddled in corners trying to cram in some last-minute facts, was a clear signal that the pre exams were looming. At the same time, LCA students lingered nervously outside the meeting room as they waited for their tasks to be examined. “We are certain that all the hard work and dedication will pay off and hope that the girls can have a little well-deserved rest over the mid-term break,” a school spokesperson told Waterford Live. Meanwhile, first years were blissfully unaware of the exam stress felt by students doing their pre exams as they hosted a hugely enjoyable coffee morning for their parents and guardians. The lucky guests not only got to enjoy tea, coffee, and cakes (made by the girls), but they also got to witness the many talents of the group in the form of the beautiful project work which was on display. They were also entertained with performances of songs in English, Irish and German. They were even treated to a rap that had been composed in Geography class. Transition years, meanwhile, were focused on the future, with subject choices for senior cycle high on their agenda. These girls had much to ponder as they set about selecting the subjects which most suited them. 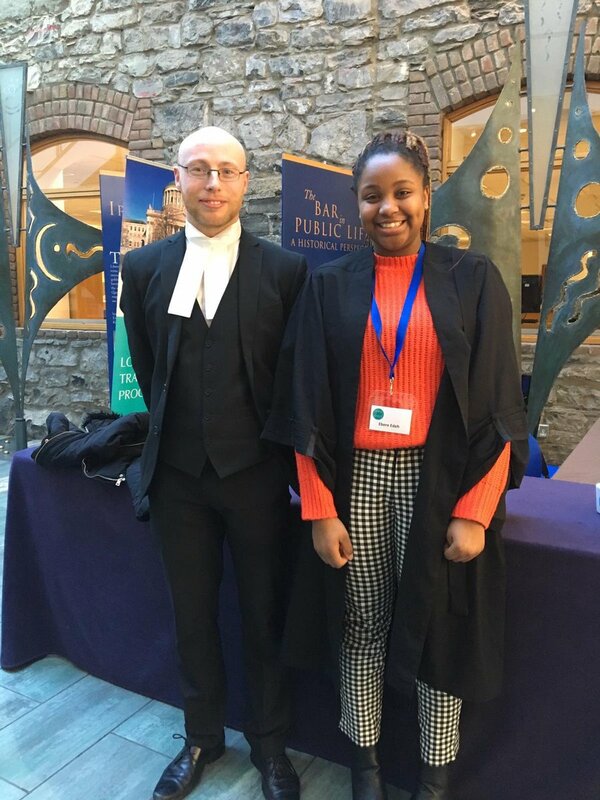 This important decision was aided by an intense subject choice forum, where teachers presented their subjects at senior cycle, and the careers linked to them. They also had guest speakers, such as Dr. Jennifer Kavanagh from WIT’s Law Department who gave a very entertaining presentation on careers in law, and past pupil Trish Archer from Beat FM who spoke about careers in media. 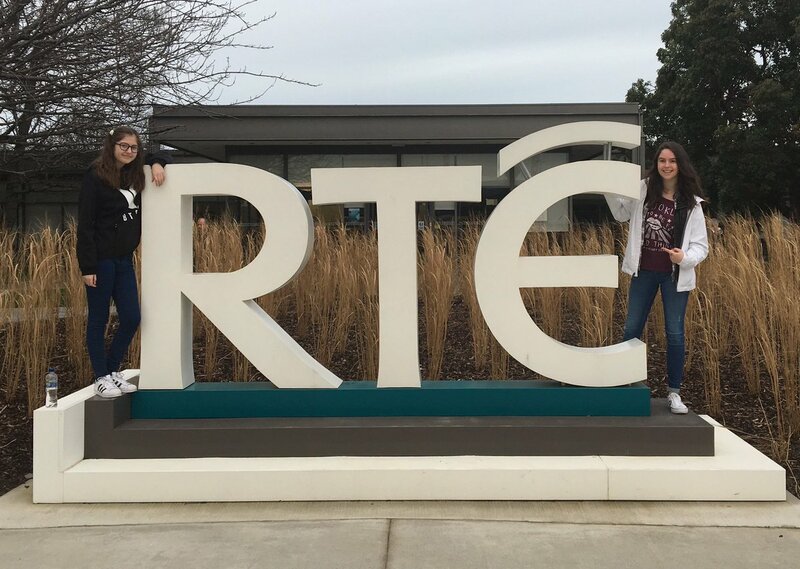 Students Almira and Sophie explored these careers even further as they enjoyed a wonderful week participating in the Multimedia Student Programme at RTE, while Ebere had a wonderful learning experience when she participated in the Look Into Law’ Transition Year Programme and got the opportunity to shadow a barrister for a week. Their participation in the Business in the Community programme, run by Waterford City and County Council, provided these same students with great insight into the activities and challenges of the world of work. A trip to the mayor’s office in Waterford was just one of the activities in this programme, where the girls learned about different careers such as librarian and health and safety executive. The students also met with Mayor Declan Doocey, who spoke about his own career. This worthwhile experience and fantastic opportunity also included completing application forms, preparing CVs and the nerve-wracking experience of doing a mock interview, complete with constructive feedback. These lucky students also got the opportunity to attend I WISH in Cork, thanks to Sunlife who kindly sponsored the cost of the bus. “This was an empowering and inspiring event around promoting STEM (Science, Technology, Engineering and Maths) as a career path to young women. There were many intriguing, intelligent and influential speakers at this event, including BAFTA winning game designer Brenda Romero and An Tánaiste Simon Coveney, all encouraging the girls to consider careers in STEM. By the time the girls had navigated their way through all the displays from the various companies - sampling innovative and developing technologies - their heads were exploding with tonnes of spellbinding information, ideas and a feeling that they could conquer the world," the school spokesperson added.